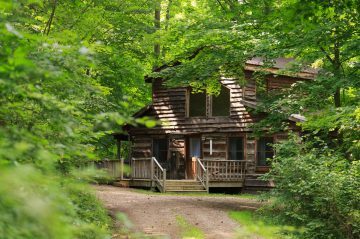 Nestled in the secluded surroundings of nature with marvelous views, our luxurious and romantic Hocking Hills cabins have their own distinct character. 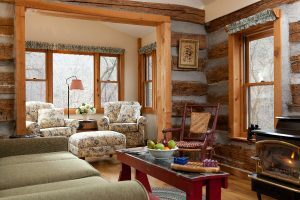 Each cabin rental offers guests a quiet retreat with many of the conveniences of home. 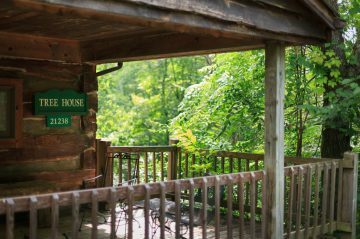 Relax together on the porch swing, enjoy the warmth of the gas log stove, or take pleasure in the soothing effects of the two-person whirlpool hot tubs offered in some of our Hocking Hills cabins. Bring your favorite DVD movie or borrow one of ours. Snuggle by the gas log fire and watch a movie on the flat screen TV in your cabin. State-of-the-art flat screens can accommodate movies only, no TV reception. 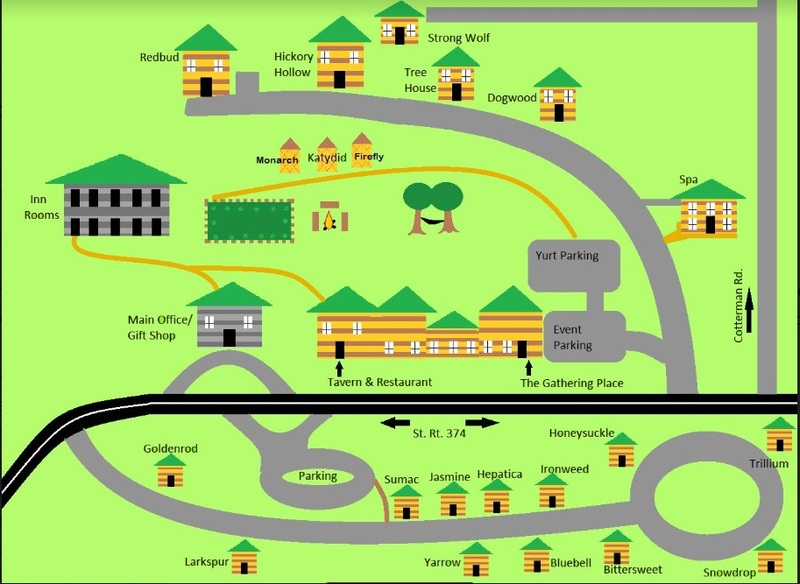 All the amenities you come to expect at Select Registry properties, include quality coffee, fully equipped kitchens, plush robes, towel warmers, hair dryers, irons and ironing boards, fine soap, lotions and lip balm. Freshly baked cookies await your arrival. 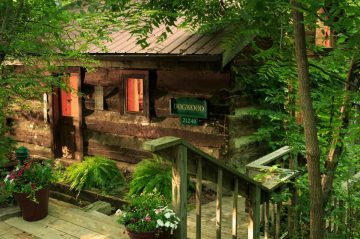 Redbud Cabin is handicap accessible. Our dog-friendly cabin is Strong Wolf Cabin. 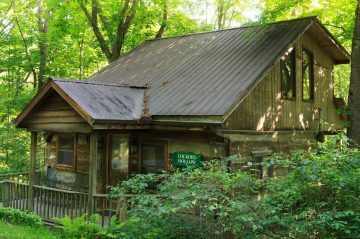 Both the Hickory Hollow and RedBud cabins are were designed to accommodate families. Two rooms and the yurts are ideal for two people with either twin beds or one king. 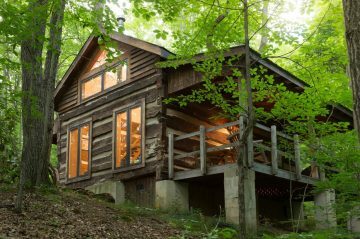 Our Hocking Hills Cabin Rentals start at $219.